I'm proud to announce that we will be using The Wand Tonearm as part of our Down Under Audio exhibit rooms at the 2016 Newport Show which will be held in Southern California from June 3-5. The Wand Tonearm comes from New Zealand and is designed by Simon Brown of Design Build Listen Audio Components. Simon and his tonearm received the highest recommendation from fellow Kiwi Gary Morrison of PureAudio--one of the brands we represent at Colleen Cardas Imports. 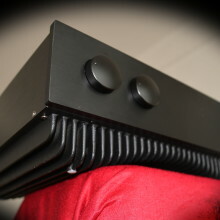 That says a lot, since Gary's amplifiers are among the finest I've heard and feature amazing engineering and design. The Wand Tonearm is a unipivot that is available in 9.5", 10.3" and 12" lengths. It's designed to work with most cartridges and most turntables--everything from the Technics SL1200 to a Linn LP12 to more exotic turntables (hint, hint). It's considered an ideal match with the Denon 103 (one of my favorites) and the Ortofon 2M line, but it can also be used with expensive cartridges such as Lyra, Dynavector and even my beloved Transfiguration. Its distinctive extra-thick carbon fiber arm tube was designed for maximum rigidity and is much stiffer than more traditional arms. The most amazing aspect of The Wand Tonearm is its cost. Simon sells the basic Classic model direct from the website, and the Plus version through retailers. The price of the 9.5" Classic arms starts at just NZ$705, which as of this writing is just under $500. 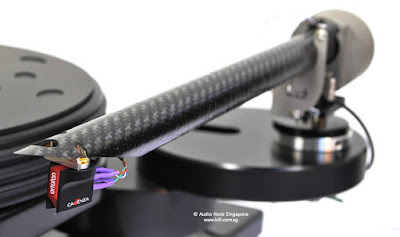 You'll have to pay for shipping from New Zealand, and you may have to spend a little extra on a custom armboard, but you'll still be paying less than a grand for an extremely well-made tonearm that has been garnering some impressive reviews and awards. 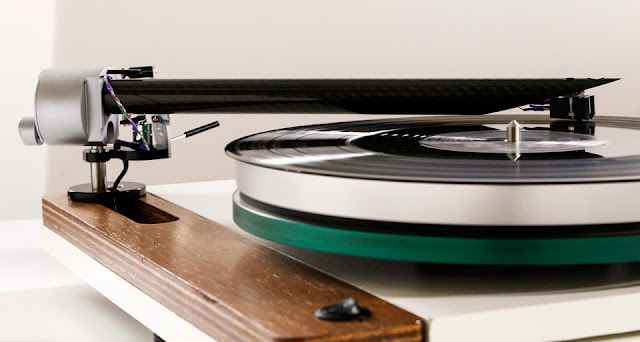 You can see and hear The Wand Tonearm in Room 1012 at the Newport Show. For more details on the show, check out the website. I know what you're thinking. All this talk about Australia has to lead to something. Well, it does. For the better part of the last year I've been planning to do an audio show in the US where I feature a lot of the high-end audio products I've been discussing here and in other places. While I worked with Brad Serhan, David Allen and Morris Swift on the final design of the Brigadiers Audio speakers, I spent the entire time bugging everyone to finalize production by June 2016. That, of course, is when the Newport Show takes place in Southern California. As soon as we returned from the 2016 Consumer Electronics Show in Vegas in early January, Colleen and I have been working overtime to bring together a consortium of manufacturers from both Australia and New Zealand to feature their gear at the show. And that was the beginning of "Down Under Audio," the theme of the two rooms we will promote at the show, which will be held on June 3-5. The first choices were obviously PureAudio, Axis and REDGUM Audio--the three "Down Under" brands that we already represent at Colleen Cardas Imports. John Reilly (Axis) and Ian Robinson (REDGUM) quickly came on board--they manufacture from the same factory and their products obviously mate well together. From the swiftness of their actions, it became quite obvious to me that they've done this all before. So Room 1011 at the Newport Show will be an all Axis/REDGUM room. Of course we will be featuring the Axis VoiceBox S loudspeakers, but everything else will be REDGUM since this Australian company known for its high-current amplifiers also makes digital sources, cables and even equipment racks. John and Ian are all ready to go. Of course Colleen and I wanted to spotlight PureAudio from New Zealand in the other room. We've represented the line since 2012; this brand has always been close to my heart and I really want people to know about it. The most exciting thing for me about including PureAudio is that I finally get to meet Gary Morrison in person. We've been Skyping for years, but I've never been able to shake his hand. 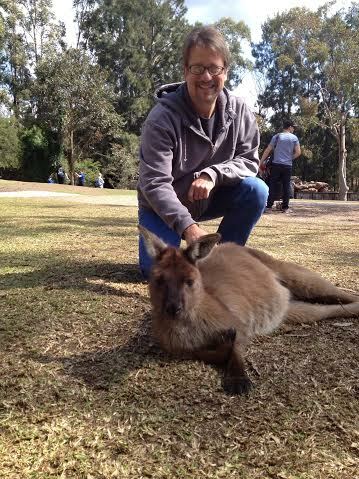 I've met everyone else in person--John Reilly, Ian Robinson, Brad Serhan, David Allen, Morris Swift--but not Gary. That, of course, brings up all the other brands we're featuring. But here's the deal--I'm going to have to hold up my promotion of those products for different reasons. One manufacturer is busy getting his legal doo-dads in order for trademarking and patenting and whatever else he needs to do, so mum's the word for a few more weeks. We're still working with another manufacturer on all the fine details, so I don't want to jeopardize this involvement because it will be awesome if it happens as planned. One more manufacturer is involved, and I want to wait just a little bit to announce it because this is a really cool product that's been in production for a while. I've just recently been introduced to it, and it's the kind of product I love--great performance, solid engineering, amazingly low price. I want to give this company its own separate place in the sun. But I'm not worried about announcing the US debut of the Brigadiers Audio BA2 bookshelf speakers. These are obviously the two-way monitor speakers that prompted me to go to Sydney and work with Brad, David and Morris. You know how I kept talking about the perfect 2-way speaker? In its final production form, I believe it's as close to perfect as it gets. This two-way stand-mounted monitor has evolved into something unusually impressive and satisfying for its size, and I left Sydney last September thinking it was absolutely amazing in every way. 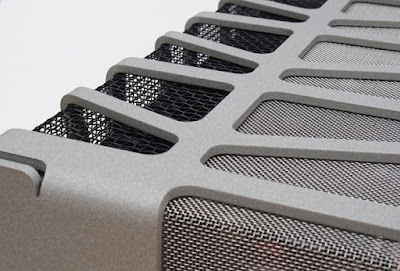 We talked about bringing the BA1 floorstanders instead, but I think the excellence of the BA2s will act as sort of a lead-in for those speakers. I'll bring a pair of those into the US sometime this year, and I'll probably drag them around the country for a while and have people listen to them. Or maybe I'll keep them to myself. Mine! Mine! Mine! So that's the scoop for now. Room 1011 will feature Axis and REDGUM Audio, and next door in Room 1012 we'll have PureAudio, Brigadiers Audio, Furutech and a few surprises to be announced. I'll keep everyone updated, and I hope to see everyone at the show! "Well, you know Marc. He never stays in one place for very long." That's my almost 85-year-old father reacting to Colleen's news that we would be leaving Montrose and moving to Central New York State. To tell you the truth, I was starting to honestly believe that the Western Slope of Colorado was the place where I wanted to spend the rest of my life. But as most of you know, money and the ability to make it can sometimes lead to decisions that may not sound right in your heart, but they do make absolute sense on paper. In a nutshell, trying to run an international importing and distribution company can be costly when you live 250 miles from the nearest international airport, and we tried to comfort ourselves with the idea that being surrounded by breathtaking beauty could somehow pay the bills. But, unfortunately, it doesn't. So we moved to a pretty little hamlet north of Syracuse, close to Oneida lake, for a number of logical reasons. 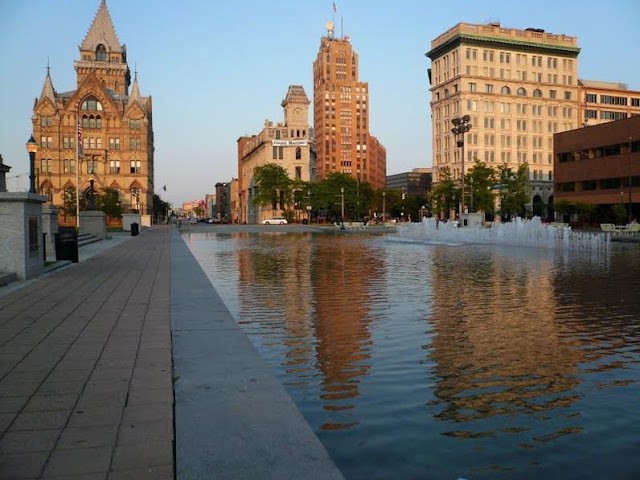 First of all, it's easy to jump in our SUV and pick up a shipment in the Newark Port of Entry, a four hour drive away. In our three years in Colorado, we've had to physically intercept and process shipments in Denver, Los Angeles, Houston and yes, Newark, so that four hour drive seems like nothing now. "Why Syracuse?" you ask. That's amusing, since every time we tell someone here that we just moved from Colorado, they look at us incredulously and wonder why we would do such a foolish thing. Our natural reaction, of course, is to wonder what's so wrong with the 'Cuse. But we have a lot of friends in the area, and we'd be very close to one of our very best dealers, Shayne Tenace of Tenacious Sound, who is ambitious and optimistic and excited about the high-end audio industry. That's a rare combination of strengths in our industry, which tends to be somewhat pessimistic about current sales trends and technologies. In fact, several dealers are now a short drive away--something we couldn't say back in Colorado. Once again I have to apologize for life getting in the way of this blog. I have so much music to review and insights to reveal, but I'm still unpacking and I need to hunker down and get everything in its right place.